Next Monday, February 4, Keep Toronto Reading will launch its One Book program at the Toronto Reference Library. There will be performances by Soprano Mary Lou Fallis, who will sing popular songs from the 1850s, and Ross Manson who will perform two dramatic readings from Consolation. The event will be hosted by Tina Srebotnjak, who will interview Michael Redhill, author of Consolation. You can check out all One Book events here. As part of Keep Toronto Reading’s fundraising campaign, for every $2 you donate to any Toronto Public Library you will receive an “i keep toronto reading” [sic] button, and for every $5, an “i keep toronto reading” book bag. Also, be on the look out for TTC book sales on Monday, February 4, from 12–6 p.m. at Yonge and Bloor Station; Monday, February 11, from 12–6 p.m. at Finch Station; and Monday, February 25, from 12–6 p.m, at Yonge and Bloor Station. If you spend $5 or more you will receive a new book for free. 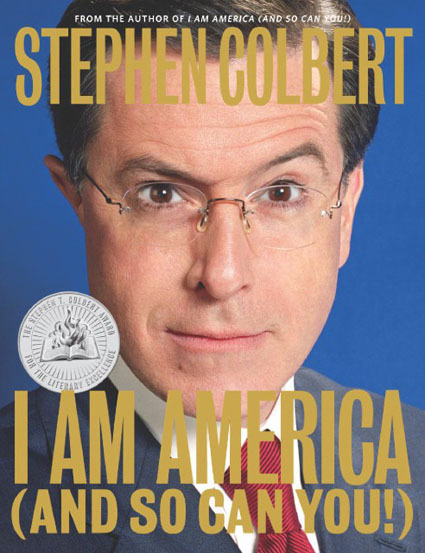 In other news, Tim Harford, author of The Logic of Life, who was set to appear at a This Is Not A Reading Series event, Thursday, January 31, has cancelled his Toronto appearance in lieu of a guest spot on The Colbert Report. THE ART BAR POETRY SERIES presents Angela Rawlings, Jay Ruzesky, and Dave Silverberg. Clinton’s (693 Bloor Street West). 8 p.m. Pass the hat. JOANNE PROULX will read from her debut novel, Anthem of a Reluctant Prophet. Hart House Library (7 Hart House Circle, 2nd floor, University of Toronto). 4 p.m. Question and answer period will follow. Free. IMAGINATION IN ACTION, edited by Carol Malyon, launches at the Cameron House (back room). Contributors to the anthology will read and perform their works. Cameron House (408 Queen Street West). 6:30 p.m.
KEEP TORONTO READING presents Shelley Falconer and Shawna White, authors of Stones, Bones & Stitches. They will be in the Nathan Phillips Program Tent. Nathan Phillips Square (100 Queen Street West). 2–5 p.m. Free. KEEP TORONTO READING presents its One Book kick-off event. Soprano Mary Lou Fallis will sing popular songs from the 1850s; Ross Manson will perform two dramatic readings from Consolation, and Tina Srebotnjak will interview Michael Redhill, about his novel. Toronto Reference Library (789 Yonge street). 7 p.m. THE ART BAR POETRY READING SERIES presents Kurt Zubatiuk, Jay MillAr, and Nik Beat. Clinton’s (693 Bloor Street West). 8 p.m. Pass the hat. THIS IS NOT A READING SERIES presents Wireless Imagination. Daniel Scott Tysdal’s first-place story of Eye Weekly’s short story contest, “What Is Missing” will be performed by a thespian in the manner of an old radio broadcast with live sound effects. Tysdal, along with other finalists, Alexander Cole and Grace O’Connell will discuss their writing processes on stage, moderated by Coach House Books editor Alana Wilcox. Damian Rogers will host the event. Gladstone Hotel Ballroom (1214 Queen Street West). 7:30 p.m. (Doors at 7 p.m.). Free. CRIME WRITERS OF CANADA presents its fifth part of the six part series of readings at Casa Loma. The event will feature readings by Peter Robinson and N.J. Lindquist. Casa Loma (1 Austin Terrace). 7:30 p.m. $12.00. Pre-registration is necessary. Call 416-923-1171 ext 205 or 215 or email [email protected] to register or for more information. Photo from H.B. Fenn and Company Ltd.